These brownies were OMGlicious! You must make these ASAP. Luckily, these are super easy to make. 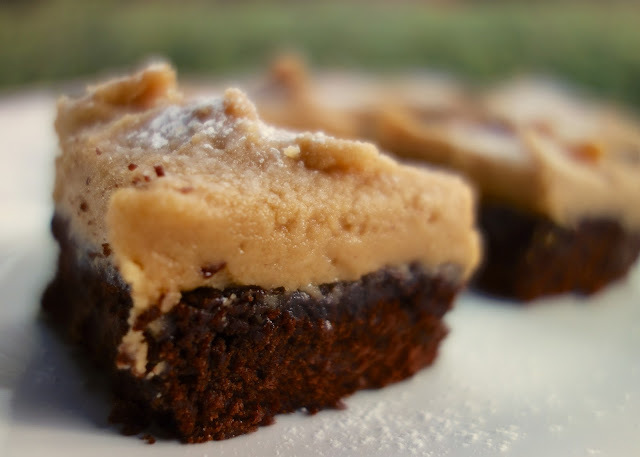 I used a box of brownie mix for the base and made the peanut butter frosting on top. The frosting only took a minute to whip up and tasted incredible! These are pretty rich, so I suggest cutting these into small squares. 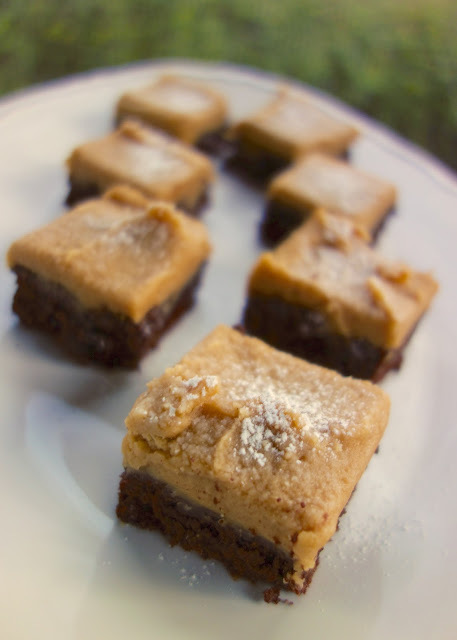 The small squares also enable you to eat more without feeling as guilty (right? right?). I used the new Jif Natural Honey Peanut Butter. It gave the frosting a nice hint of honey (which I love). Make these brownies the next time you need a crowd-pleasing dessert; I guarantee they will fly off the plate. These look delicious! What kind of brownie mix did you use? Would crunchy peanut butter work for the icing? They look amazing! Starsky99 - I think crunchy peanut butter would be great! Would they need to be refrigerated since milk is in the icing? This is always something I've worried about. They look great. I'm a peanut butter fanatic! Super simple and super tasty. Two great tastes that go great together. Just made this...Creamy, smooth and perfect with brownies!